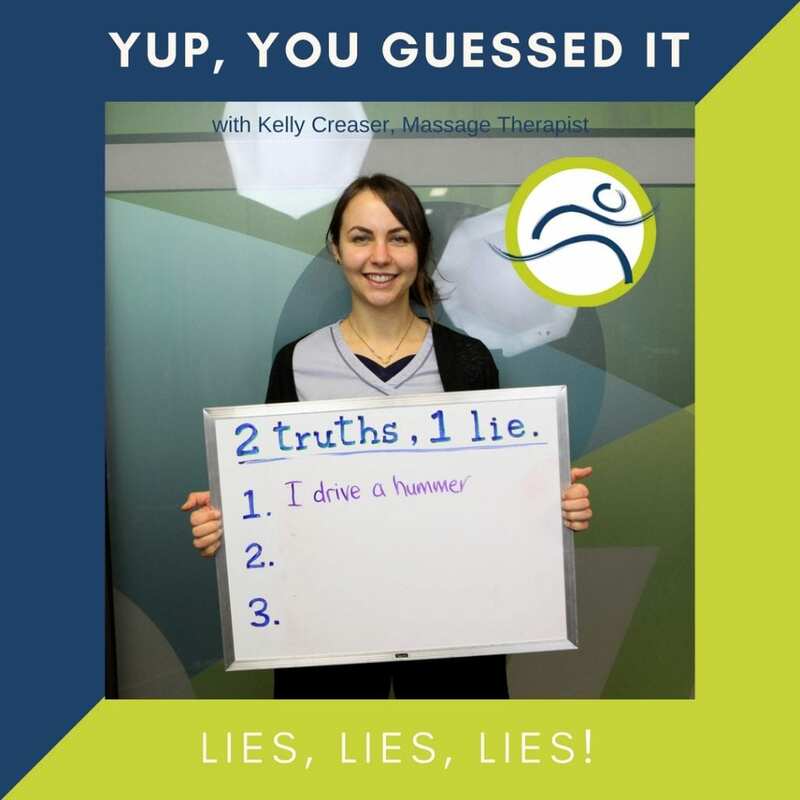 Leduc Physio; Our Staff: 2 Truths, 1 Lie - Kelly C.
Leduc Physio - Physical Therapy and Massage Therapy ServicesClinic StaffKelly Lied! #1 is Kelly’s lie! She doesn’t drive a hummer!! Kelly owns a GMC truck, but also likes to drive her husband’s bright blue jeep! Kelly is one of the registered massage therapists at Leduc Physio. She is trained in many different massage techniques, including; myofascial cupping, hot stone, relaxation, deep tissue, sports, infant, and pregnancy. If you would like to book with Kelly, click HERE or give us a call at (780) 980-5443! 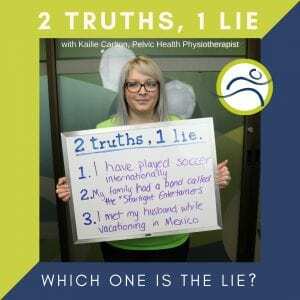 If you like getting to know our staff, try to figure out Kailie Carlton‘s lie HERE! You can also subscribe to our monthly newsletter, MOVE, for more fun posts, event listings, giveaways, and contests!